Got mine today as well. Pretty good service considering I ordered them on Tuesday morning. Any chance of another order of these very cool pathtags? I would love to see a reorder opportunity as well. I am bummed I missed out on all of the order opportunities. Unfortunately the notification process leaves some folks out of luck if they have limited access to the Internet during the business day or if they are out of town. I'll be happy to share some of mine with those that didn't get them. CAM picnic? GeoWoodStock? The geocacher formerly know as CacheSKing. There will be a reorder of the spring tags in a couple of week. We did not want to reorder right away because the replacement order would be coming in around the same time as the CAM 2015 Pathtags initial order. Look for the CAM pathtags in the next couple of weeks. I am hoping they may get in the hands of the MGS before CAM starts but it will be cutting close. As for as when the announcement of pathtags going on sale, the best we can do is to have the announcement go out on the forums and Facebook at the same time. It is usually in the evening when the announcement is made which has been the case for the last couple sets of pathtags. There shouldn't be any change for the CAM pathtags in the next coming weeks. The announcement will be made in the evening. Thanks for the information! I'll plan on keeping an extra sharp watch for these. We have reordered a few bags of the 2015 CAM Pathtags. They are available at the Geocoin store in packs of 20. What would be cool is if Pathtags.com permitted "subscriptions" to the pathtags. I assume MGS uses the same pathtags.com account to upload the artwork for production. So, theoretically, pathtags.com could have a stored list of everyone who wants a 20pack, and produce/sell/ship them automatically. Then it would be up to MGS to guess how many non-subscribed tags to make/sell. As it is, the pathtags always sell out within a day, and so clearly there is a latent demand for MGS path tags. Have you tried suggesting that to them? Seems like it would be something they'd go for, it would fit their business model…. Even though it is now Summer, are you still planning on a reorder of the Spring pathtags? I like the suggestion of a subscription. I would commit to a bag of any future pathtags. We will have some path tags available at the summer picnic. We have sets with all 4 seasons and we have a couple bags of each season if I remember correctly. 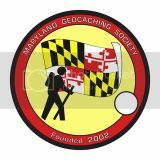 We reordered 400 ‘MGS Hiker’ pathtags back in February, and we just discovered that they have been available for purchase in the GeocoinStore since April but we were never notified. Yay. They can be ordered in bags of 20 for $20 plus shipping. Click here to order. The password is mgs2011 (case-sensitive). The MGS receives a $5 donation for every bag of 20 ordered, so thank you for your support! Is there any remaining inventory of MGS Hiker Pathtags available? Traveling to Texas next month and would like to advertise the MGS to those who might wander up this way. Thanks for the feedback! We currently don't have any of the hiker pathtags in stock. Your current best bet is to order some of the CAM 2018. Instructions to order the CAM pathtags are in the CAM 2018 Information Thread. We do plan to order some more hiker pathtags in the future. Looking forward to seeing the Hiker tags back in stock, would like to order a few myself. Do you have any tags you'd be willing to trade? I have an extra Hiker PathTag available to trade. Post subject: Hiker and Crabby are back in stock! MGS Pathtags are back in stock! You can order them at the links below. We ordered more of the Hiker and revived the first design, Crabby. 300 of each, in bags of 20, are for sale at the geocoin store website, the password is CRAB2018. MGS got a bulk discount and gets a 5 dollar credit for each bag of 20 sold. We will also have each of the tags for sale at future events if you subscribe to the immediate gratification life model. These tags often sell out, so don't delay if you want some Crabby! Post subject: Re: Hiker and Crabby are back in stock! Just ordered mine! Cant wait to get them in the mail.